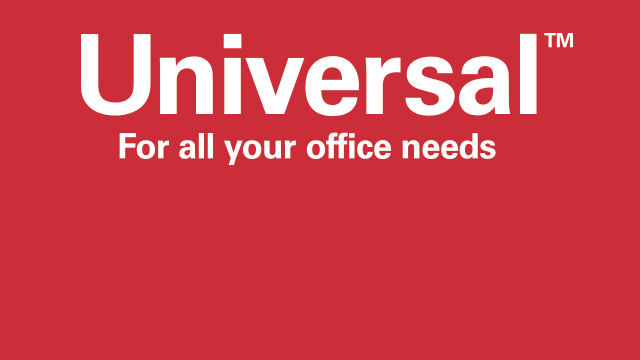 Universal is the UK’s leading independent single source office supply specialist. With one order, one delivery and one invoice, we can take complete care of all your office needs, from your stationery and computer supplies, through to bespoke print, design and web development, your office furniture, and even the paint on the walls. Through our process you benefit from the cost-savings, reduced environmental impact and increased productivity that comes with a more streamlined supply chain. Nationwide clients, large and small, choose us because we provide the level of customer service you’d expect from a dealer, with the strategic account management and logistical advantages of a contract stationer. As a result our range of products and services is probably more extensive too! For these reasons, we have a 98% client retention rate and a similar level of longevity amongst our loyal employees. With 250 years’ collective office supplies experience within this friendly team, there’s a lot of knowledge here for you to tap into. Utilising the latest in web-to-print technology, our solutions will improve your productivity, reduce your carbon footprint and achieve guaranteed annual cost savings of at least 30%! Well-designed office interiors are integral to business success. So from the supply of single desks and chairs, to the project management of full fit-outs and refurbishments, we’ll handle it all. We’ll help you bring your brand to life, through creative design, personalised products and web development services that help you stand out however crowded your marketplace. Regardless of your location, our first class drivers and comprehensive logistics network means we guarantee flexible, next day, desktop delivery, throughout the UK and even Europe. Have you heard of Universal Connect? We know it can be a hassle finding different suppliers for your various office needs. That’s why we don’t just provide a single source solution – we also calculate the savings that come with having one partner, one delivery and one invoice. 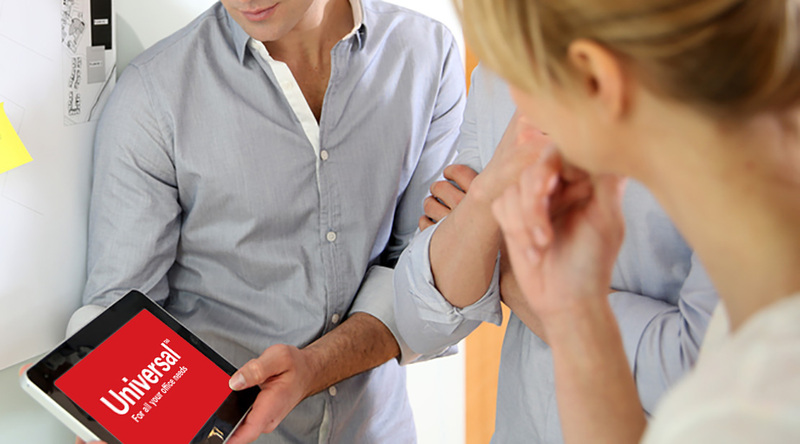 Every prospective client is able to take advantage of this complimentary audit. Very much like a company health check, we analyse what products you buy, from how many suppliers and at what price. We also consider your delivery and payment arrangements, before presenting how a consolidated approach can save you time, money and stress, whilst reducing your impact on the environment. A 95% conversion rate, from analysis to client, shows just how popular the Universal Connect service is. What’s more, it’s free, so what do you have to lose? 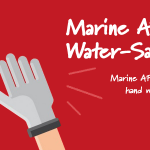 Contact a member of the team on 0845 345 0061 to book an appointment or find out more. Hey big spender! 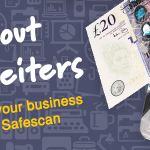 Can your detection pens fend off counterfeiters? As the UK’s leading independent single source office supplies specialist, Universal is here to fulfil all your office needs. Headquartered in West Yorkshire, but with nationwide coverage, we work with microbusiness and SMEs through to blue-chip FTSE250 companies and high street brands. There is no requirement too large or small, and a 98% client retention rate shows our model works.